The NYISO is leading a $74 million federally funded project to install capacitor banks and phasor measurement units (PMUs) on the bulk transmission system throughout the state. PMUs provide near instantaneous measurement and observation of bulk power system voltage and current phase angles and magnitudes. New York was an early pioneer in the implementation of PMUs. In close coordination with the NYISO, the New York transmission owners are deploying 39 PMUs at strategic locations across the system. In place by June 2013, this network of PMUs will provide a much more accurate determination of the state and vulnerabilities of the region. Historically, the synchrophasor data produced by the PMUs has been used to study events after they have occurred. The NYISO project is pioneering the use of synchrophasor data in real-time by feeding the data directly into their new Energy Management System. Eventually, the NYISO’s PMU network will connect with PMU networks in New England, the mid-Atlantic, the Midwest and Ontario, Canada, to create broader situational awareness throughout the eastern United States and Canada. 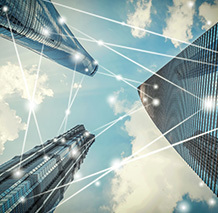 The lessons learned from New York’s implementation of standards-based communications protocols and data formats will be valuable to other ISOs and transmission owners as the PMU network across the eastern interconnection is created. The NYISO and New York transmission owners are also installing advanced capacitors that will provide 8000 MVARs of reactive power. The capacitor banks will improve the efficiency of the state’s bulk transmission system by reducing the amount of electricity that is lost when carried over long distances on the bulk transmission system, thus reducing electricity costs in New York State approximately $9 million per year. Key partners in this effort are the New York Power Authority (NYPA), National Grid, New York State Electric and Gas, O&R, Con Edison, Rochester Gas & Electric, and Central Hudson. Click here for a PDF of project outline.